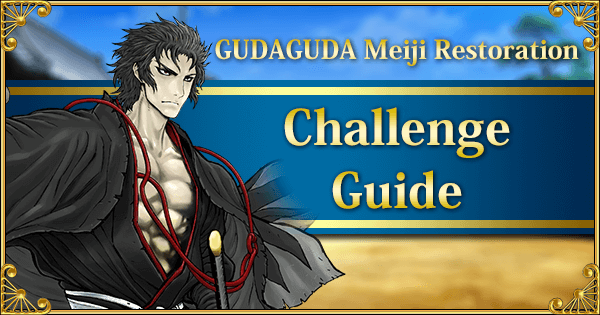 The GUDAGUDA Meiji Restoration event is a farming-based event with a points ladder. The event starts with a melee between the Oda side and the Shinsengumi side. Each round's winner is determined by the total points gathered by all Masters. Who wins determines the path the main quest takes and who gets to gloat: Okita or Nobu. Once a round ends, the winning side rewards ALL Masters (even if you fought for the opposing side) with points for the points ladder. However, make sure to actually do at least a single quest each round, or otherwise Masters aren't eligible to receive the rewards distributed at the end of the round. 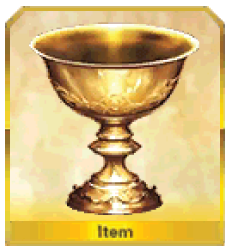 Masters can acquire a Holy Grail and Chacha by finishing the Main Quest. 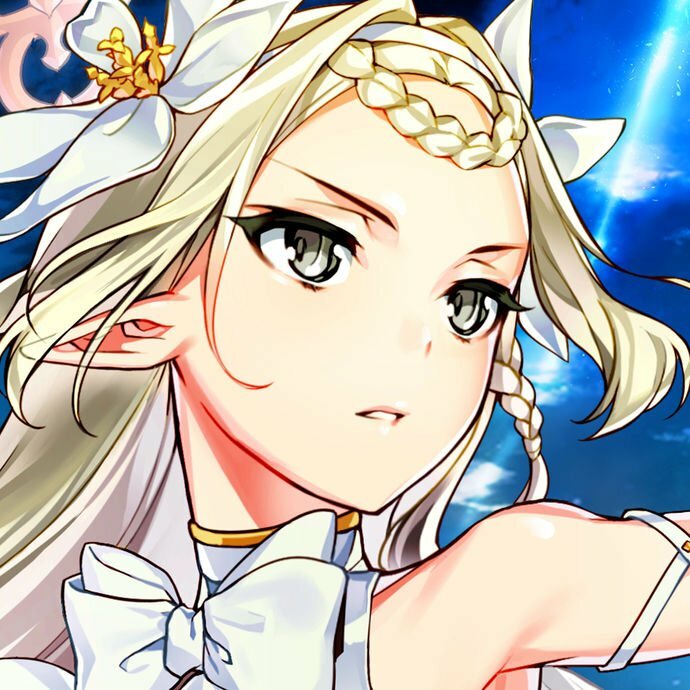 Climb the Points ladder to unlock more copies of Chacha (can be traded after the Main Quest is finished), and receive her Ascension Materials. Start the event by clearing the Main Quest. Prologue: GUDAGUDA Civilization and Enlightenment (0 AP) Story Only Quest. 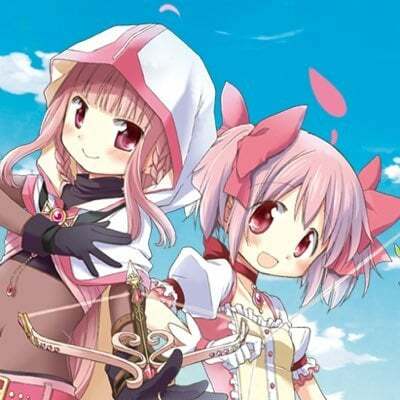 Section 2: Nobbudamon Incident (0 AP) Story Only Quest. Unlocks Round 1 Battles if still available. 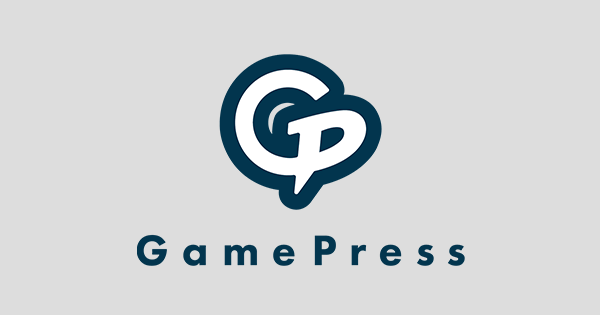 Round 1 ends at: 2019-03-29 16:59 PDT. Nobbudamon Incident [Devisive Battle] (10 AP) No event drops. (The guide assumes the Oda team wins round 1, but anything is possible). End-Section : Let's go! Our Oda Bakufu! (0 AP) Story Only Quest. Section 4: Universal Battle of Toba-Fushimi (0 AP) Story Only Quest. Unlocks Round 2 Battles if still available. Round 2 ends at: 2019-03-30 16:59 PDT. Universal Battle of Toba-Fushimi [Devisive Battle] (10 AP) No event drops. (The guide assumes the Shinsengumi team wins round 2, but anything is possible). End Section: The Key to Victory is Shinsengumi! (0 AP) Story Only Quest. Section 5: The Secret Emiyamaru (5 AP) A low level map, but with a Break Bar and a stage-wide effect. 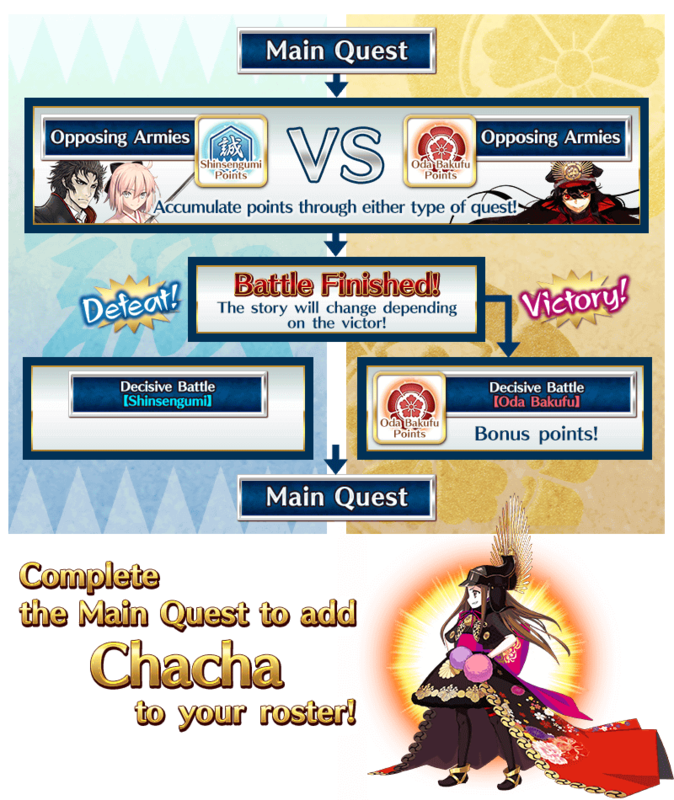 Section 6: GUDAGUDA Final Battle, Fortress of the Sun (0 AP) Story Only Quest. Unlocks Final Round Battles if still available. Round 3 ends at: 2019-04-02. End Date depends on our progress (collect points), or is automatically completed if we twiddle our thumbs. GUDAGUDA Final Battle, Fortress of the Sun [Devisive Battle] (10 AP) No Event Drops. Section 7: Farewell, Loving GUDAGUDA World (5 AP) Another Break Bar and a (low-level) Ruler opponent! Between Event Servants and any bonus damage CEs, this should not be a problem. Epilogue: Shinsengumi (5 AP) Berserker Break Bar quest with mid-level enemy. Bring a competent team and the event damage boost CE. For new Masters, Mash is a good source of protection while a borrowed Servant goes to town. Masters are granted both a copy of and a ! Unlocks Clean-Up Quests and the Challenge Quest! 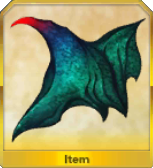 [High Difficulty] The Demon of the Battlefield (5 AP) Rewards a . It's soloable; even new Masters should try to give it a shot! The points ladder and currency grind looks more intimidating than it is. Masters can clear most of the event with natural AP. 50,000 points are awarded to the present box for the winner of Round 1, 100,000 for Round 2, and 150,000 for Round 3 (for both sides, so 300,000 total). The drops during the 3 rounds are all split across all 3 currencies. Masters cannot farm a specific currency early. Thus, Masters without gacha CEs can farm alright on these nodes, but those with a few or more gacha CEs should wait with apples until the Clean-Up battles are active. The Clean-Up Battles unlocked at the end of the event are always more optimal, but may not have the monsters drops you would like to farm. Unlike the atrocious drop rates of GUDAGUDA 1, these drop rates are only a minor step below Free Quests! 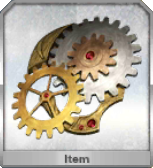 Masters can farm a good amount of Eternal Gears, Great Knight Medals and Forbidden Pages(!) during the event whilst gathering their currency and points. 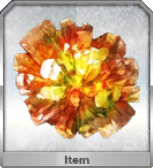 Use Event Servants to speed up farming (damage bonus) and/or field copies of Wolves of Mibu. 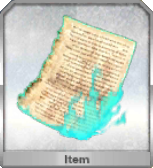 Wolves of Mibu stacks with itself and the event bonus, keeping multiple copies for the Challenge Quest/farming is ideal for new Masters. 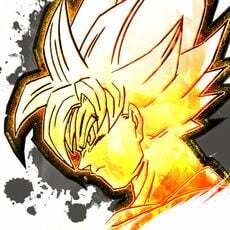 0 It is highly recommended to save some Friend Points for the next event. The 3* CE for the next event is highly useful for speeding up mission progress. 1 The first thing to prioritize is buying copies of . 5 (hurray!) copies can be bought from the shop, but Masters should generally NOT limit-break it until after the event is over. 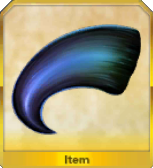 The event CE grants 30% bonus points and is a pretty decent CE in general. 2 To quickly buy all copies, field/borrow copies of either and/or , and farm the highest level node available. 3 Masters can choose which side to support, but some nodes offer more tempting material drops. Mix and match sides to grind points and currency with the drops that most appeal to you. 4 Points should be maxed last after all the currency grind is done. As the best points node drops points for both sides at once, Masters should try to balance their two sides as much as possible in the long run. 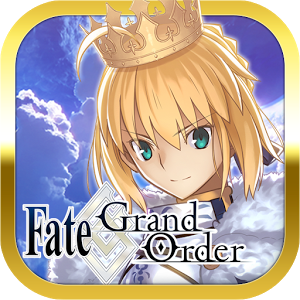 5a For Masters with few gacha CEs simply focus on farming the desired currency during the first week and fill any empty CE slots with Fortress of the Sun. The points ladder will be filled while grinding event currency. 5b For Masters with plenty of gacha CEs, currency is best farmed during the Clean-Up battles in the second week where the bonus drops scale incredibly hard. Instead, consider fielding bonus Points CEs during the first week as the base points are pretty decent compared to the bonus from gacha CEs. 6 The Clean-Up battles are best to use apples on regardless of gacha CEs, and are all single currency + points nodes. 7 For late starters: Prioritize the points shop to unlock all copies and ascension materials for Chacha. Quickly buy the Event CEs and try to make as much progress as possible. The event will be rerun, and Masters can always try to get her again next year. Nobbudamon Incident [Opposing Armies] - Ashigaru (10 AP) Main Drops . Nobbudamon Incident [Opposing Armies] - Kumigashira (20 AP) Main Drops . Nobbudamon Incident [Opposing Armies] - Bantou (30 AP) Main Drops . Nobbudamon Incident [Opposing Armies] - Hatamoto (40 AP) Main Drops . Nobbudamon Incident [Opposing Armies] - Taishou (40 AP) Main Drops . Nobbudamon Incident [Opposing Armies] - Shosei (10 AP) Main Drops . Nobbudamon Incident [Opposing Armies] - Monsei (20 AP) Main Drops . Nobbudamon Incident [Opposing Armies] - Yushi (30 AP) Main Drops . Nobbudamon Incident [Opposing Armies] - Roushi (40 AP) Main Drops . Nobbudamon Incident [Opposing Armies] - Taishi (40 AP) Main Drops . Universal Battle of Toba-Fushimi - Ashigaru (10 AP) Main Drops . Universal Battle of Toba-Fushimi - Kumigashira (20 AP) Main Drops . Universal Battle of Toba-Fushimi - Bantou (30 AP) Main Drops . Universal Battle of Toba-Fushimi - Hatamoto (40 AP) Main Drops . Universal Battle of Toba-Fushimi - Taishou (40 AP) Main Drops . Universal Battle of Toba-Fushimi - Shosei (10 AP) Main Drops . Universal Battle of Toba-Fushimi - Monsei (20 AP) Main Drops . Universal Battle of Toba-Fushimi - Yushi (30 AP) Main Drops . Universal Battle of Toba-Fushimi - Roushi (40 AP) Main Drops . Universal Battle of Toba-Fushimi - Taishi (40 AP) Main Drops . GUDAGUDA Final Battle: Fortress of the Sun [Opposing Armies] - Ashigaru (10 AP) Main Drops . 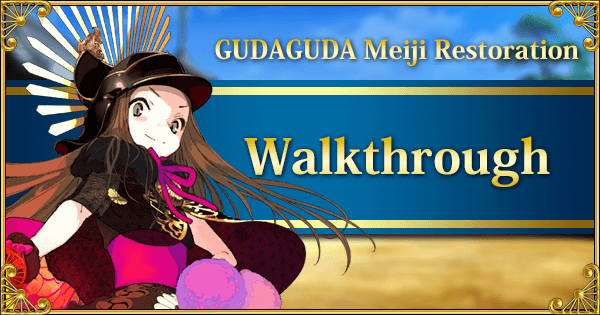 GUDAGUDA Final Battle: Fortress of the Sun [Opposing Armies] - Kumigashira (20 AP) Main Drops . GUDAGUDA Final Battle: Fortress of the Sun [Opposing Armies] - Bantou (30 AP) Main Drops . GUDAGUDA Final Battle: Fortress of the Sun [Opposing Armies] - Hatamoto (40 AP) Main Drops . GUDAGUDA Final Battle: Fortress of the Sun [Opposing Armies] - Taishou (40 AP) Main Drops . GUDAGUDA Final Battle: Fortress of the Sun [Opposing Armies] (10 AP) Main Drops . 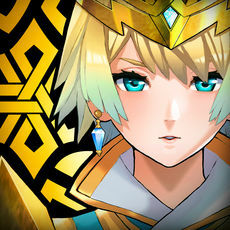 GUDAGUDA Final Battle: Fortress of the Sun [Opposing Armies] - Monsei (20 AP) Main Drops . 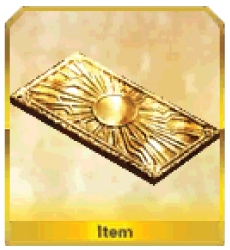 GUDAGUDA Final Battle: Fortress of the Sun [Opposing Armies] - Yushi (30 AP) Main Drops . GUDAGUDA Final Battle: Fortress of the Sun [Opposing Armies] - Roushi (40 AP) Main Drops . GUDAGUDA Final Battle: Fortress of the Sun [Opposing Armies] - Taishi (40 AP) Main Drops . GUDAGUDA Clean-Up Battle Ashigaru (10 AP) Main Drops . GUDAGUDA Clean-Up Battle Kumigashira (20 AP) Main Drops . GUDAGUDA Clean-Up Battle Bantou (30 AP) Main Drops . GUDAGUDA Clean-Up Battle Hatamoto (40 AP) Main Drops . GUDAGUDA Clean-Up Battle Taishou (40 AP) Main Drops . GUDAGUDA Clean-Up Battle Daimyou (40 AP) Main Drops . GUDAGUDA Clean-Up Battle Shosei (10 AP) Main Drops . GUDAGUDA Clean-Up Battle Monsei (20 AP) Main Drops . GUDAGUDA Clean-Up Battle Yushi (30 AP) Main Drops . GUDAGUDA Clean-Up Battle Roushi (40 AP) Main Drops . GUDAGUDA Clean-Up Battle Taishi (40 AP) Main Drops . GUDAGUDA Clean-Up Battle Resshi (40 AP) Main Drops . GUDAGUDA Clean-Up Battle Civilization and Enlightenment (40 AP) Main Drops .